Bro. Jackie Fox, and his wife, Libby, have made an indelible mark on the lives of many FHU students. 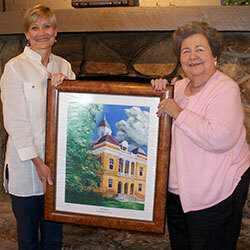 A recent gift to FHU honors their influence. 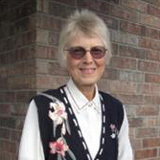 Janice Franklin's connection to FHU occurred later in life. Her gifts will help spread the gospel by supporting future generations so they remain faithful to God's word. The Cliff and Nancy Bennett Endowed Scholarship honors more than 54 years of marriage and long, meaningful careers spent in Christian education. Established in 2013 by the couple's four children—Darren, Jon, Craig and Aimee, the scholarship is intended for Freed-Hardeman University education majors who plan to teach English or math. 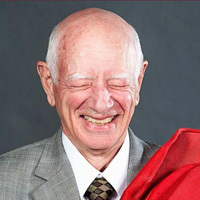 A man of many talents, James Hadley Maxwell’s legacy continues even after his passing thanks to an endowment fund in his honor. Thomas Derryberry believes that had it not been for the kindhearted individual who encouraged him to gain a college degree at Freed-Hardeman College, he wouldn't have gone at all. From the support from his supporter and instructors, Thomas was able to complete his courses and graduate college. Now, he wishes to help future generations of students. Archibold Marowa, or Archie as we have come to know him, is from Harare, Zimbabwe. He is the youngest of six children with four sisters and one brother. He graduated high school in Zimbabwe and then played soccer professionally for a few years. G.C. and Pam Bucy met when they were both students at Freed-Hardeman College in the late 1940s. After marriage, they both worked as educators. It is probably not very often that a 90-year-old woman has a new perspective on life, but that is exactly what has happened with Freed-Hardeman University benefactor Kathryn Tyler.